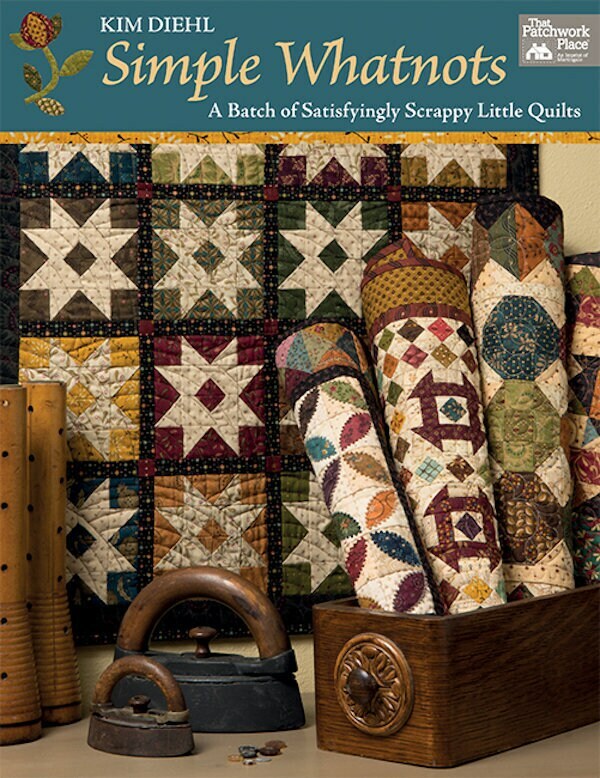 Simple Whatnots - A Batch of Satisfyingly Scrappy Little Quilts by Kim Diehl. There are 128 full-color pages. 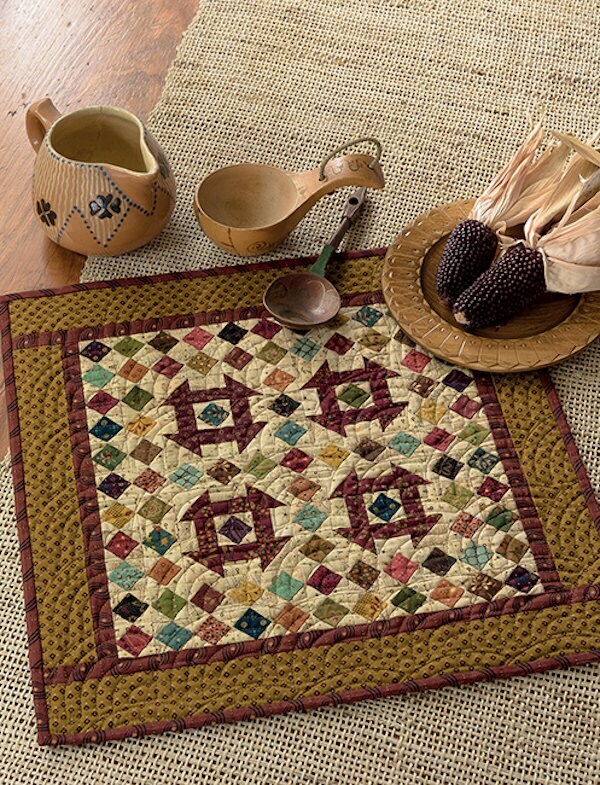 Enjoy 18 projects from Kim's Simple Whatnots Club, previously available only in individual patterns. 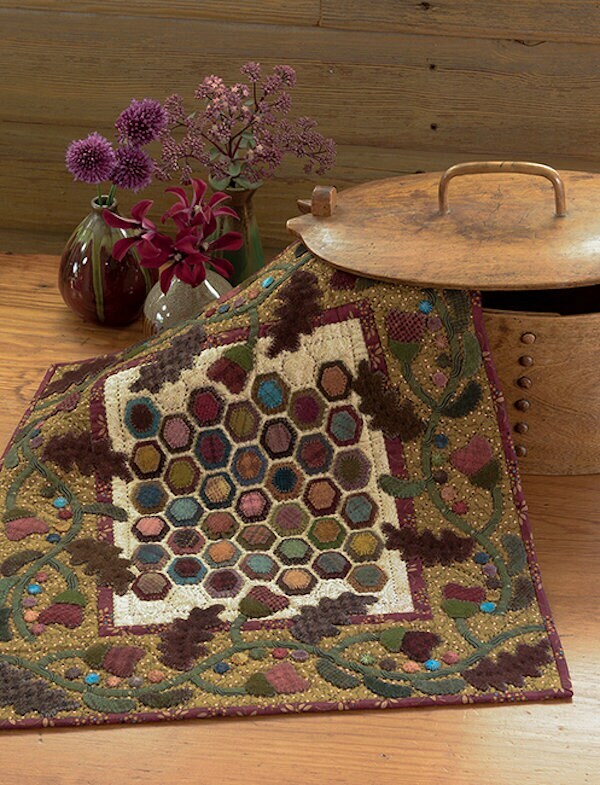 You'll learn streamlined techniques for petite patchwork, invisible machine applique, and cozy wool applique. 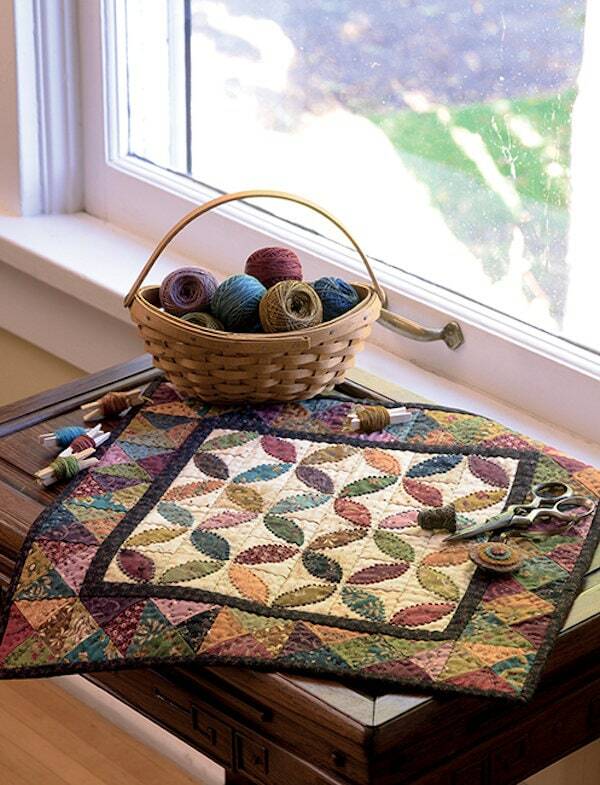 Use completed projects as wall quilts and table toppers, or follow Kim's lead and display projects in other creative ways. 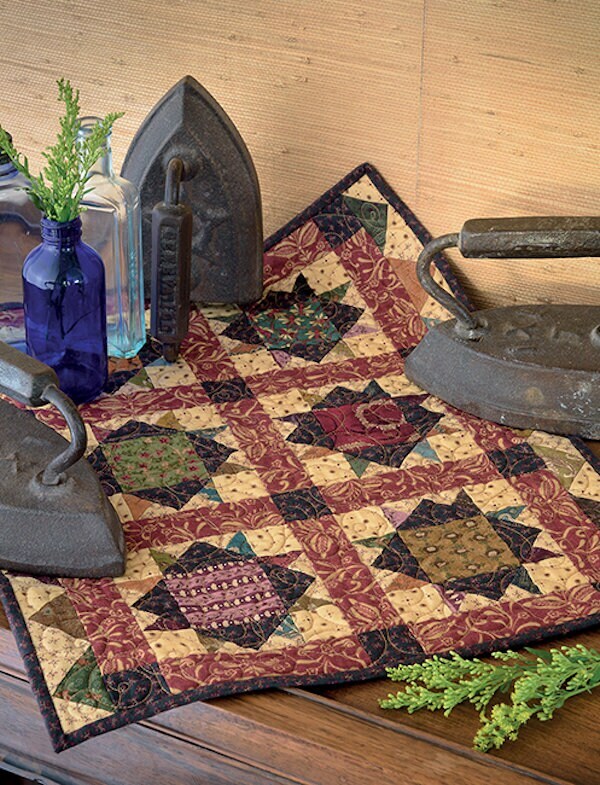 As always, Kim shares her "Extra Snippet" sewing tips throughout so that YOU can become a better quilter.